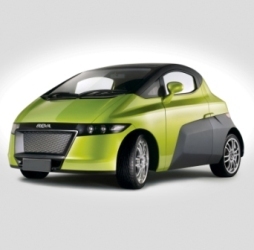 Mahindra and Mahindra is building electric vehicles that will cover 300 kms on a single charge -more than double of what it currently offers as it looks to go on an overdrive in the zero-emissions category with new passenger cars and commercial vehicles. M&M plans to enhance the production capacity of electric vehicles from a mere 200 units monthly to over 5,000 units a month over the next two years. It is also working on a modern electric vehicle in partnership with Pininfarina, the Italian car design company that it purchased in December 2015. M&M said that the government's focus on electric vehicles coupled with a lower standard GST rate of 12% (as against 28% for fossil fuel cars) would encourage production of electric vehicles.